Finding a good washing machine repair San Diego pro can be quite challenging, especially if you are dealing with an emergency. At our company, we understand the frustrations that a non-functional washing machine can bring and strive to have a pro to your home as soon as possible. Is the washer not draining? Is the appliance leaking? Depend on us. As a matter of fact, you can rely on the San Diego Appliance Repair Experts for any service need. The techs are not licensed just to repair but also install and maintain washers irrespective of brand. So call us with your service needs. Whether you want same-day washer repair or need a pro to replace an appliance part, you can always depend on the technicians we send you to give you the best service. All you have to do is give us a call and a pro will be there to address the issue. The techs arrive at your home in the shortest time possible to identify the problem with your appliance. Furthermore, the technicians will arrive with all the tools to ensure that your washing machine is up and running in no time. So call us if you are in need of an expert to repair washing machine troubles. There are a lot of washing machine brands and even models but this is not a problem to the techs. Each washing machine technician we partner up with is experienced and certified to repair any brand. Updated and skilled, they can service even the latest products and will have the right parts with them to take good care of your laundry machine. Once you contact us, we shall allocate you the most competent technician who will take care of your washing machine regardless of the problem. Is the washer not starting? Does it take longer than usually? Is it not agitating? Get in touch with us for washing machine repair service. We will not only assist with your same day appliance repair San Diego CA needs but send a pro to either routinely service or install a washer. It’s important that washers & dryers are fitted correctly and since there are many differences between the models, you need to trust certified and expert techs. 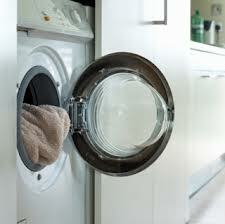 In our company, we have the pride of working with competent pros that offer reliable washer installation. Call us for your routine washer service needs too. It’s a pity to shrink the lifespan of your laundry appliance due to lack of maintenance. Just like any other service, it is affordable and will help you save money down the road. 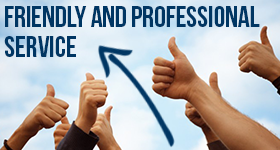 Give us a call if you want experts to serve your needs. Our company will send you the best pro whether for San Diego washing machine repair, installation, or routine service.